Did you know that you can change your desktop resolution and make the most out of your Windows Desktop? Simply right click on your mouse while the pointer is on your computer's desktop and choose "Properties" from the menu that pops up. Choose the "Settings" tab and you will see your resolution options. Try different resolution settings (800x600, 1024x768, etc) and see which resolution best fits your eyes and desktop space needs. "Ken was not only helpful and friendly, he was also very willing to share his knowledge with me. I feel that I have a much better system that is more suited for my needs." "Ken was really helpful when my computer ended up with a virus. He got rid of the virus AND saved my very important files. I wouldn't hesitate to recommend AT HOME TECH to others." Aside from being convenient, At Home Tech is very cost effective, and often will even save you money over other PC Repair/Networking options. Not only can we save you money, At Home Tech will also save you time and frustration, and that is truly priceless. Find out how convenient using At Home Tech can be for you or your company. At Home Tech is also a very capable and much more affordable and secure option than a full time (IT) Information Technology specialist for any small business. From PC Upgrades to Networking Issues At Home Tech can handle the job affordably within the time range your business requires. So give us a call today at 503.260.2704 and see what At Home Tech can do for you! At Home Tech started out in 1994 with a pioneering group of computer gamers. Chris, Ken, Kevin, Mike and several other local friends started a gaming group called The Pacific Northwest Descent League. 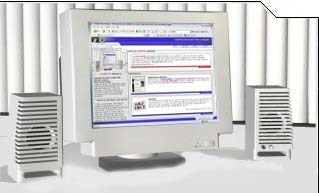 We built our first website for the league in early 1995 before most people knew what a website was. From the league we took part in several large gaming festivals LAN Fests hosting the first official organized Descent LAN at Kens House in Hillsboro Oregon. Being competitive gamers meant we had to have top notch equipment and excellent networking and troubleshooting skills. By the time most of the gaming had stopped and The Pacific Northwest Descent League finally disbanded, Mike became a Network System Administrator for PGE, Chris became a Software Engineer for Intel, Kevin started a successful DOT COM and Ken started the growing IT Service Firm At Home Tech. From 1997 to 1998 At Home Tech did only small side jobs for family and close friends. Over the years however, word of mouth has grown At Home Tech to what it is today. We have picked up several small business clients along the way, and most came to us very dissatisfied with there old IT/TECH help. Clients like these really need special attention and someone qualified to share wisdom and take care of all their TECH related needs. At Home Tech has what it takes to get the job done. In the future At Home Tech plans to be a global force in the IT Business with plans to open offices in Seattle WA, Atlanta GA, Boise ID, and South Florida.